Three vintages of our Buttafuoco Bricco Riva Bianca (2010, 2012 e 2013) will be featured in the tasting titled “Pastures of Lombardy: raw milk, no selected starters”. 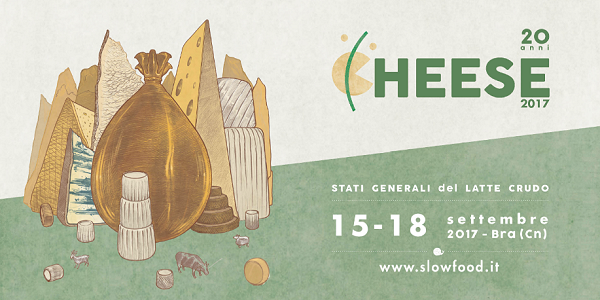 The tasting is just one of the many events of the 20th edition of Cheese, the cheese festival organised by Slow Food and Città di Bra. The tasting, which will feature four mountain cheeses (Bagòss di Bagolino, Storico Ribelle, Formai de mut and Silter), will take place on Saturday September 16th 2017 from 4:00 pm to 5:30 pm on the playground of the Rita Levi Montalcini school in Bra (CN), located in via Vittorio Emanuele 200. Please check out the event page for more info.